There are an estimated 30 million pastoralists living in the Horn of Africa, and yet many of these groups have faced incredible challenges when it comes to education. What makes someone a pastoralist? It is their dependence on livestock for their livelihood. The pastoralist lifestyle revolves around their animals, and rotating through traditional grazing lands is essential in order to support their herds. Loss of fertile grazing land to settled farming. Loss of access to water sources for their herds. Lack of recognition of traditional territory and communal land holdings. Prevention of movement caused by modern borders. Prejudice against their way of life, with it being seen as ‘backward’. No investment in services for pastoralist communities. Permanent schools with year round classes do not accommodate pastoralist communities. 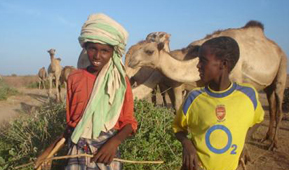 School hours do not allow for the domestic duties of pastoralist children. Very few teachers are willing to work in remote areas that lack basic services. The focus of studies does not match the skills and competencies needed by pastoralist communities. Cattle raiding disrupts movement and travel to schools. Many challenges faced by pastoralists result from the belief that pastoralists should conform to a more sedentary way of life, but asking a community to choose between education for their children and their livelihood is an impossible and unfair task. 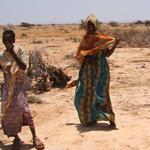 This attitude prevents many pastoralists from attending school, and as a result these communities exhibit some of the highest rates of illiteracy in the Horn of Africa. Pastoralists want education and know that it is essential to their survival as individuals and as a community, but the right to education should never come at the expense of someone’s livelihood. Training teachers from within pastoralist groups so the classes travel with the children. Developing appropriate teaching materials in local languages, including the use of traditional folktales. Linking literacy and numeracy training with practical vocational skills, such as veterinary training. Allowing parents and children to learn together to address adult illiteracy. Funding grants to buy livestock to help communities pay teachers. Education doesn’t have to be one-size-fits-all. Help us make education flexible for all ways of life. Education can fit with pastoralists’ way of life. We help pastoralists find education solutions that work for them. We also work closely with governments to voice the concerns of pastoralist communities, and encourage the development of more inclusive policy and curriculum. With your support, education can be inclusive for pastoralist communities.